Some businesses realize the value of Managed IT through personal accounts and customer case studies, and others realize it when they learn about the customer care, support and features that come with it. But that's not all. For some business, it's the facts and figures that truly help them understand how Managed IT Services can help their organization. So, why do organizations need Managed IT? Let's take a look. Every week, 140,000 hard drives experience data loss in the United States. When you consider a simple, out-of-pocket drive recovery that may or may not be successful can cost upwards of $7,500, having a managed IT provider already in place starts to look pretty valuable. Did you know 58 percent of SMBs claim they test their disaster recovery plan just once a year or less, and 33 percent say they test infrequently or never at all? When you total it up, over 90 percent of SMB's pay little or no attention to whether or not the plan they have in place will support them in the event a natural or manmade disaster occurs. Additionally, 44 percent of businesses estimate that a single hour of downtime would cause them to lose $10,000 or more. An average of 4,000 ransomware attacks occurred each day in 2016. And the prediction for 2017 is that there will be 15 new ransomware families discovered each month. With nearly 85 percent of enterprises now using sensitive data in the cloud, it's as important as ever to keep that data secure. Research firm 451 Research found that out of 451 large businesses surveyed, 45 percent of organizations plan to partner with a managed security services provider and 42 percent deploy additional security software to protect data and applications in the cloud. As a result, even the industry is shifting. Now, 59 percent of IT services have transitioned from the traditional break-fix model to a managed service contract model. Servers crash, disasters happen and cyber threats are real. And in large part, those three things are causing Managed IT Services to become more popular every day. 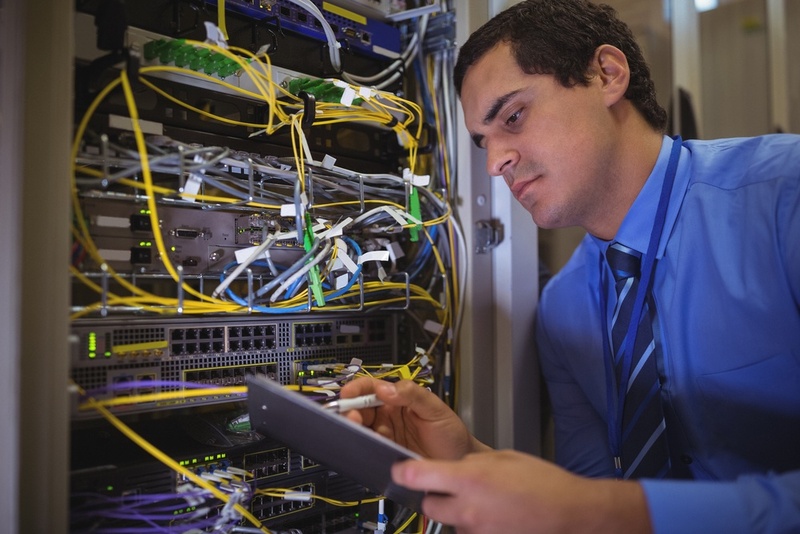 When today's businesses are searching for the right infrastructure, support and security, they partner with a Managed IT provider. As an added bonus, many Managed IT contracts come with detailed reporting, which allows businesses to crunch their own numbers and see the improvement Managed IT brings to their business. Contact a Marco rep to learn more.